Baby Gifts, Christening Gifts, Baby Shower Gifts and First Birthday Gifts for Baby Girls! Wholesale Suppliers of Christening Gifts and Baby Shower Gifts for Baby Girls! Sparks Gift Wholesalers offer a wide and varied range of Christening Gifts, Baby Shower Gifts and First Birthday Gifts for Baby Girls - Birth Certificate Boxes, First Tooth and First Curl Trinkets, Baby Girl Photo Frames , Baby Girl Photo Albums, Baby Girl Passport Holders, Baby's First Spoon, Fork and Knife Sets, Baby Girl Height Charts, Baby Girl Bowl and Mug Sets. The Sparks Gift range of Baby Gift Products, Christening, Baby Shower and First Birthday Gifts! Sparks Gift Wholesalers offer a wide and varied range of Baby Christening Gifts, Baby Shower Gifts and Babys First Birthday Gifts that include Baby Birth Certificate Boxes, Babies First Tooth and First Curl Trinkets, Baby Photo Frames, Baby Photo Albums, Baby Passport Holders, Baby Girl's First Spoon, Fork and Knife Sets, Baby Height Charts, Baby Girl's Bowl and Mug Sets. 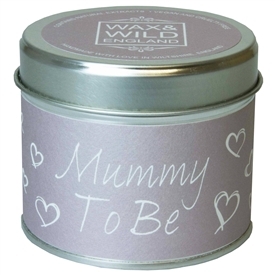 Always pretty in Pink - Sparks are always adding to their wide range of Baby Gift products.